It may seem weird that this says 'Merry Christmas' and yet CNY is just around the corner... But this was my Christmas gift from HiShop! Nah, just kidding. 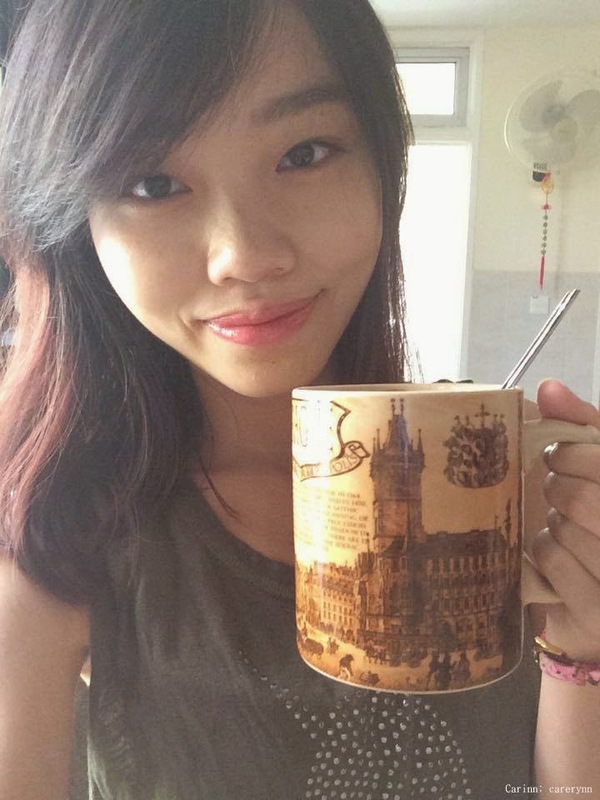 I received this yummy health drink from them to try out and here's my thoughts! There are countless health drinks on the market now that promises better health and vitality. Most of these drinks I realise, are collagen drinks that tastes sweet. 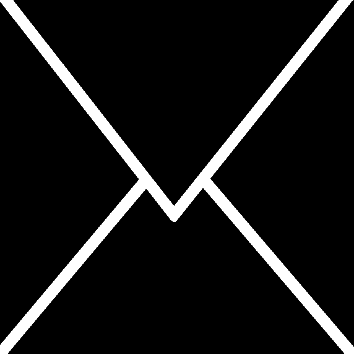 However, this one is definitely something different. 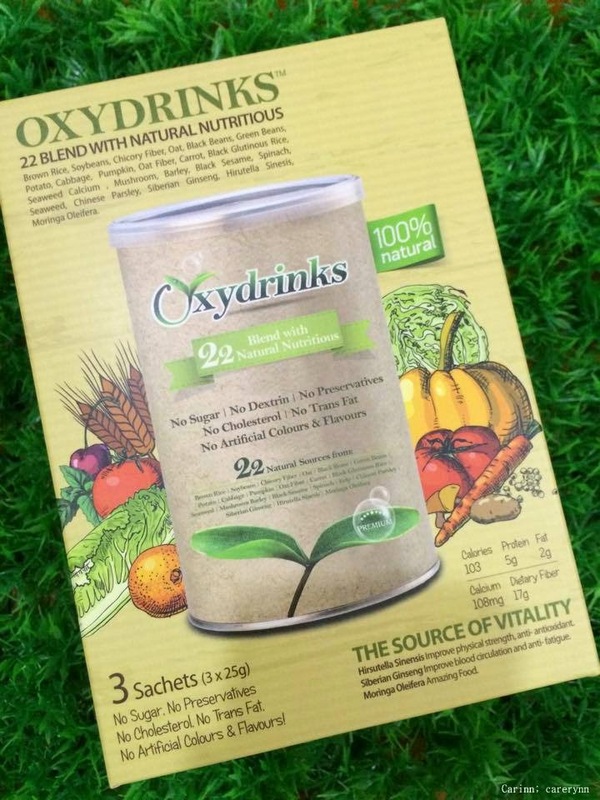 Oxydrinks by BeautyTalk powers up your day by using a selected 22 types of good food to promote harmony in the body and protect the vital organs. 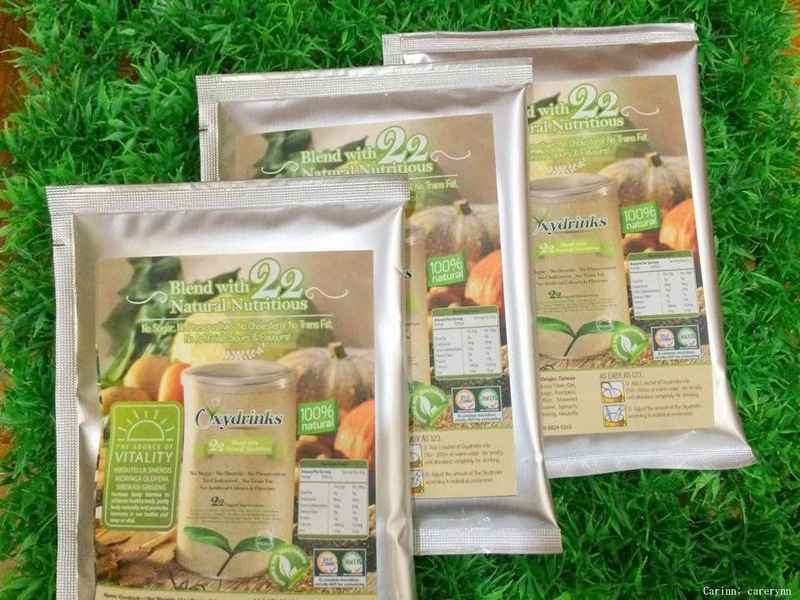 The blend of 22 nutritious goodness takes the meaning of "Natural Wholefood" to another level.Wholefood are foods that are unrefinted and do not contain sugar, salt, trans-fat, colouring, flavouring and artificial ingredients but rather has all the nutrients in just one food. These nutrients include vitamins, minerals, phytonutrients, essential fatty acids, dietary fibre and antioxidants. 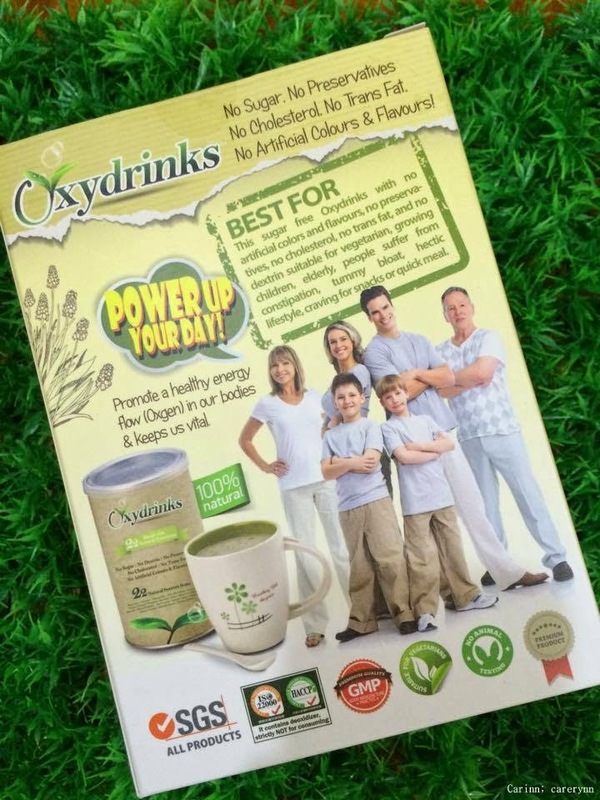 Oxydrinks has combined 5-coloured natural whole plant-based food from Red, Green, Black, White and Yellow with the main ingredients Hirsutella Sinensis, Moringa Oleifera and Siberian Ginger to promote metabolism, increase stamina, promote harmony and healthy energy flow (oxygen) in the body to keep it vital and purifies the body naturally. 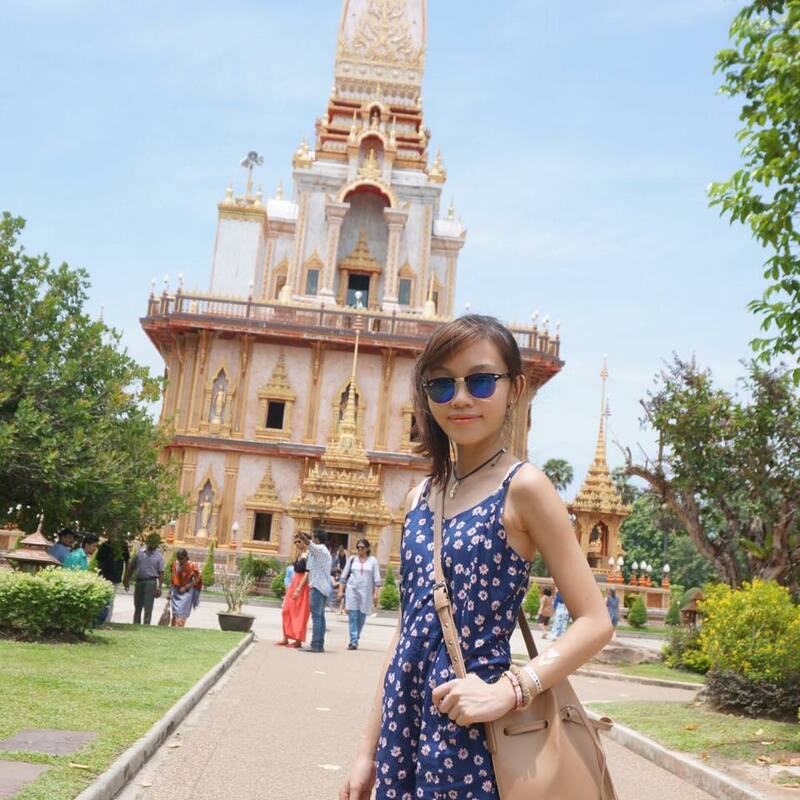 The drinks is most suitable for vegetarians, growing children, elderly and people who suffer from constipation, bloatedness or simply have a hectic lifestyle and constantly craves for snacks or a quick meal. The main source of vitality (oxygen) is the Moringa Oleifera which is known as "Miracle Plant" or "Amazing Superfood" as it contains lots of vitamins, minerals and high in proteins. It helps the blood sugar level and high blood pressure to stabilise, promote a good night's sleep, works as an energy booster, improves gastric upset and irritable bowel syndrome, strenghtens the immune system and promotes softer skin. Hirsutella Sinensis is traditionally used to improve physical strength, works as an antioxidant and eliminates fatigue while Siberian Ginger increases the body's oxygen uptake and improves maximal oxygen consumption, improve blood circulation and dispels fatigue. 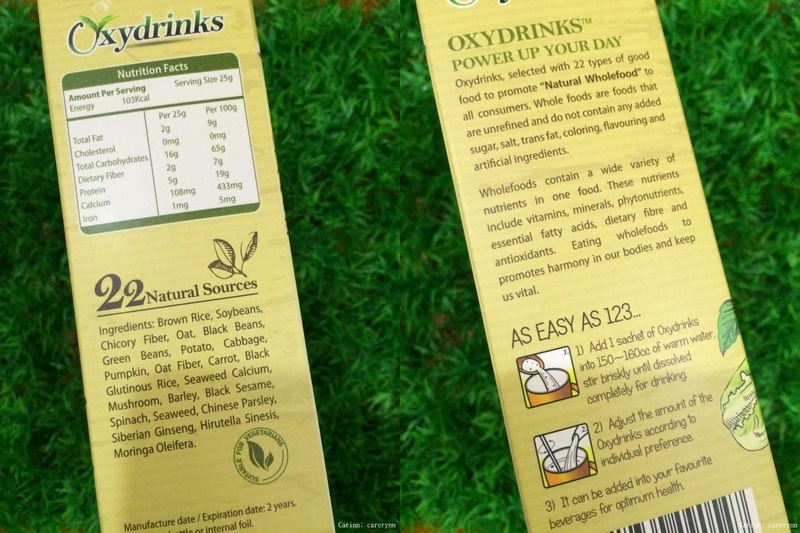 There are 3 packets of Oxydrinks in one box. Preparing the drink is as easy as 1-2-3! 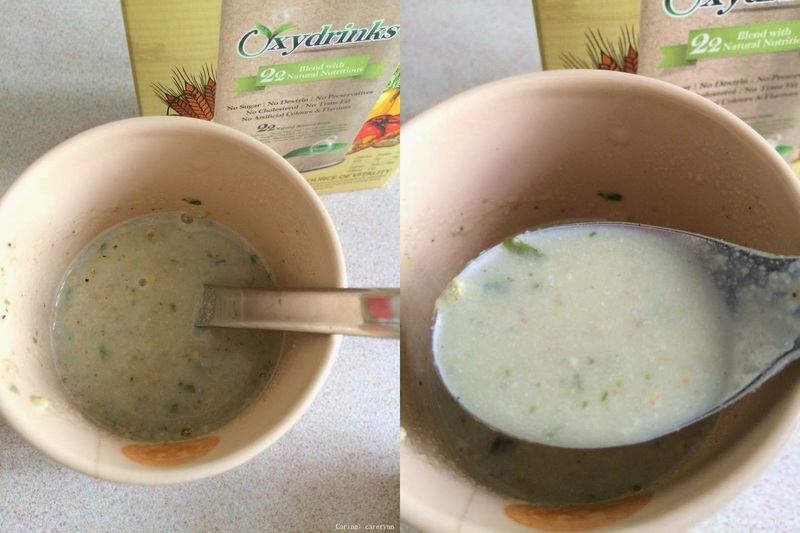 Just add one sachet of Oxydrinks into 150 - 160cc of warm water and stir briskly until it completely dissolves. 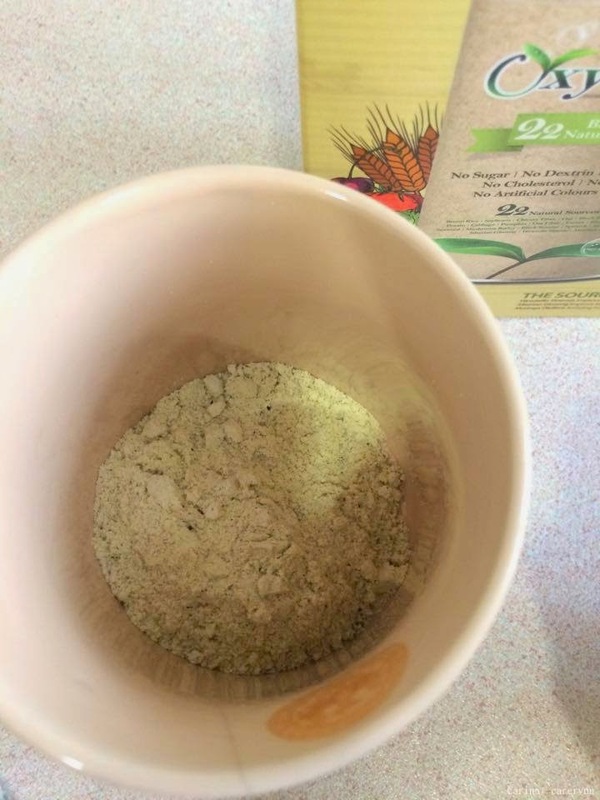 You can also adjust the amount of powder you want to add according to your preference. I find that the powder does not dissolve easily and leaves some coagulated powder bits which is quite chewy and yummy to me haha. Stir a bit longer and it's now ready to drink! Honestly, I was taken aback by the taste initially. I expected it to taste like my favourite Campbell's Instant Mushroom Soup but actually the drink tastes like blended vegetable juice with a mild sweetness. It doesn't smell or taste shabby though. I have it for my breakfast and would totally recommend this drink to people who are dieting as it can work as a meal replacement. As for the other benefits, I've yet to see any results as I've only consumed 3 packets but long-term consumption may give you in better results. I won't be blogging the next few days as I'll be busy with CNY celebrations so here's wishing everyone a safe, happy and healthy Chinese New Year! Gong Xi Gong Xi! 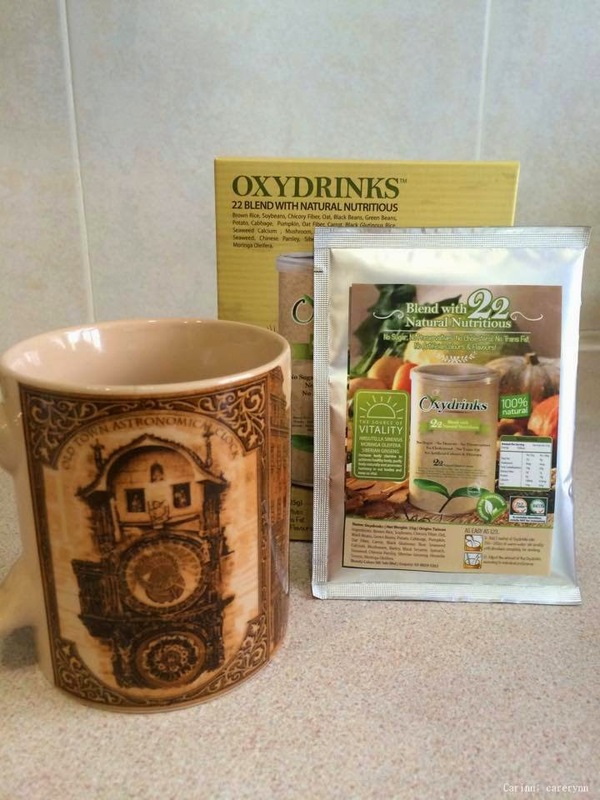 Find Oxydrinks and other brands on HiShop now! Disclaimer: Even though the product was sponsored, it does not affect my opinion in any way. 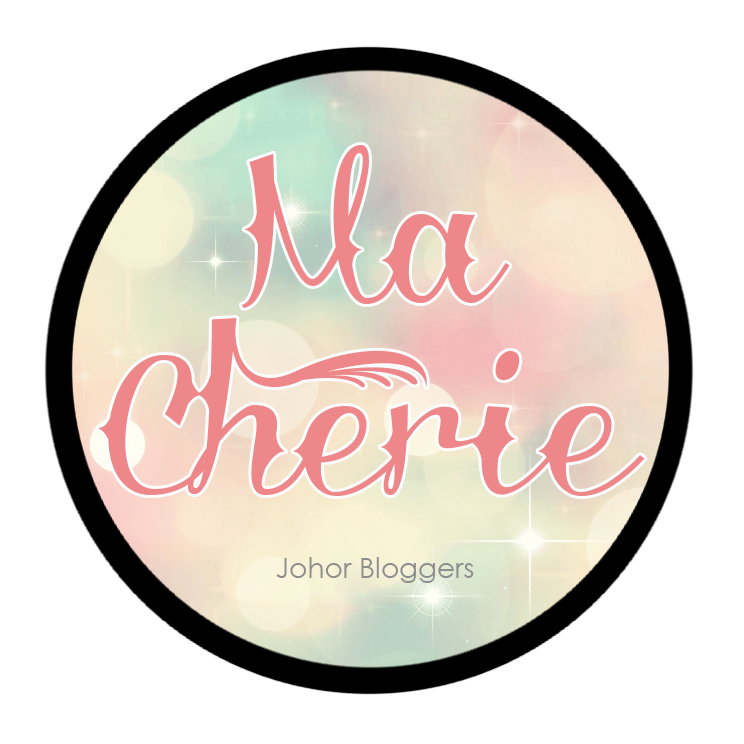 The review is based on my honest personal thoughts, experiences and preference after trying out the product Effects may vary depending on the individual.